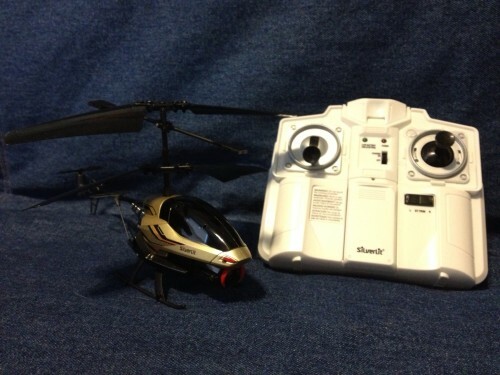 For my first review as an Official Silverlit Toys Reviewer I got the Spy Cam II helicopter with a camera mounted on it. This is the perfect toy for me because I’ve wanted to figure out how to be able to take some aerial shots and video. The helicopter is really nice but I could not get the trim working right for me. The helicopter kept swaying over to the right so each of my videos has a crazy jerking in one direction. I also broke the tail because it banged down the stairs a few times as I tried to fly downstairs. Here is my video review. I’ll fix the tail and get some more flying in. Hopefully I’ll make even better videos and even try some outside, even though it is an indoor copter.